Looking for a portable charger to keep on hand that can charge a multitude of devices? 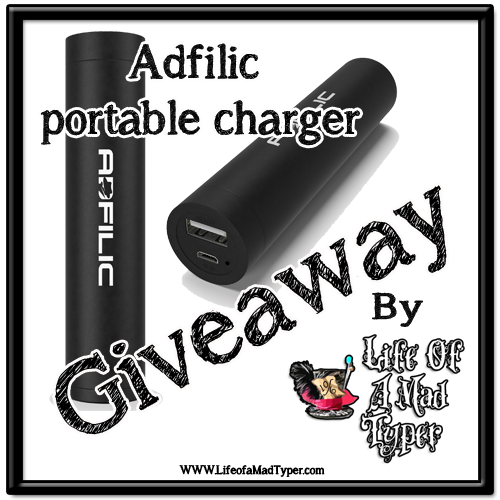 Then enter to win this awesome Adfilic portable charger and its 3 attachment usb cable. About as round as a quarter and shorter than a pen this device is easy to keep on hand to charge your devices. This giveaway will run until 9/30 12am cst.